THE ARMY BOMB Disposal Team has been called to Tralee Institute of Technology to make safe a small quantity of an unstable acid. The team was deployed to Tralee following a routine audit of chemicals in a science laboratory, where the quantity of picric acid was discovered earlier today. The chemical was removed to a waste ground where a controlled explosion was carried out in order to neutralise the substance. Picric Acid is a chemical re-agent and is routinely used in laboratories, but can crystallise and become unstable over time. The call-out is the 143rd for the Army Bomb Disposal Teams this year. 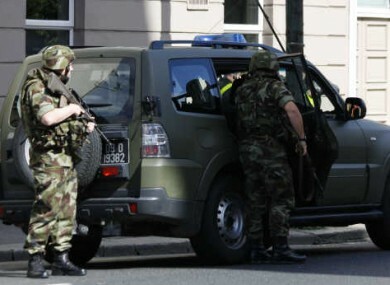 Email “Army bomb disposal team deals with chemical at Tralee IT”. Feedback on “Army bomb disposal team deals with chemical at Tralee IT”.